Beer bar is one of the most popular venues. In order to open their own, it is good to be prepared: choose a suitable place and assemble the necessary list of documents. Before you can open your own pub, you need to carefully examine legislation regulating retail trade in alcoholic beverages. The law defines who can sell beer. For example, to sell any alcoholic beverages is strictly prohibited in the medical and educational institutions, transport facilities, at bus stops, markets and railway stations. Be mindful what to choose for business organizational-legal form. OOO is the best option, as the organization a simplified system of taxation. This allows you to save on taxes on the income and assets of the company and VAT. In the preparation of documents necessary to consider the requirements of the bar. The area should be at least 180 square meters. Bar should not be placed in a residential home. Most likely, in the room to do the repair. After registration of all documents necessary to purchase equipment such as microwave ovens, stoves, counter, cupboards, furniture for halls, cash register, showcase, refrigerator, coffee machine, generator, and ice crusher, a module for installing beer taps, shakers, glassware and bar accessories. In addition to the guaranteed quality of beer should be taken seriously main menu bar. It can consist of a variety of beer snacks, such as toast, meats, etc., but also contain a full meal. To start the paperwork with the registration of the limited liability company. It will cost from 1000 to 5000 rubles. The price depends on whether you used a legal firm helpers. You must also obtain a certification and a license to trade in alcoholic drinks. The price of a license for a period of five years will cost about 40 000. 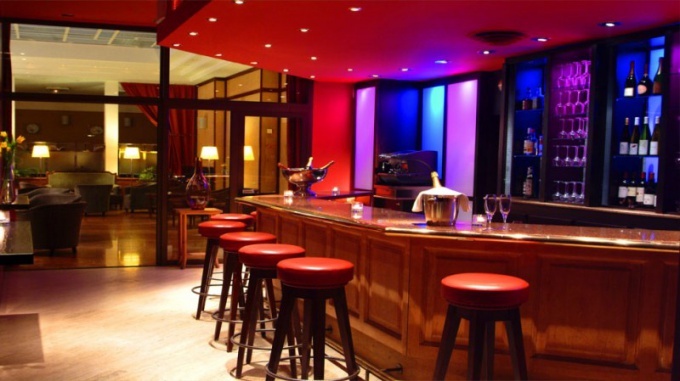 You then need to enter into a lease or purchase/sale of the premises, which will be a bar. Renting a room will cost approximately 80 000 rubles. Need to register the cash register and to sign a contract for his services, and then to the SES and fire organization permission to open a bar in this room. Very important to conclude an agreement on the implementation of a systematic cleaning of ventilation systems and air conditioning systems. And, finally, to be eligible at the beginning of the bar should state the resolution of the CPS. The appearance in the cities luxury shopping beer – a consequence of the overall increase of culture of consumption of alcoholic beverages. Untidy beer or a stall on the street can meet the needs already far not for all beer lovers, among them also a lot of gourmets and connoisseurs who pay attention to quality. Open a beer boutique and get them in as customers – a great opportunity for the entrepreneur. Find a room and make it the owner of the contract on long-term leases (usually of five years). For high-end beer store location near metro station or market is not very good solution, much better – on a busy street in the city centre, next to other prestigious shops. Spend some money on quality cosmetic repair in the future sales area of the store. Come up with a name and contact the designer professionals for assistance in the development of corporate style of the beer store, which has every chance in future to become in network. Use it to create signs and clearance sales area, the production of components which you can order advertising Agency. Good will also arrange for sales staff store clothing with the brand logo. 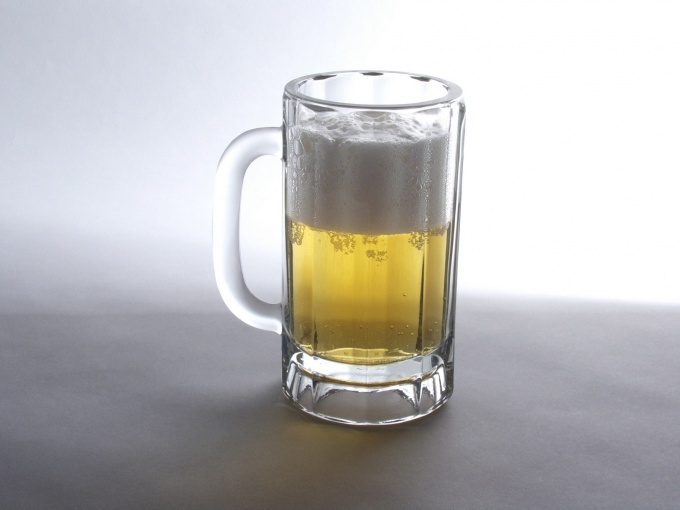 Buy a set of commercial equipment and furniture required for the sale of beer. You will need a cooler, a portable cooler and heater, which has a defoamer. Not do without refrigerated counter, scales, shelving, and additional refrigeration equipment for storage related to the sale of beer products (shrimp, smoked fish). Sign a contract with several suppliers of beer (both manufacturers and importers as draught and bottle), to be able to provide in its the beer store all possible product range. Range the beer boutiqueand should be as intense and include the largest possible number of varieties of beer, including nonalcoholic. Way to work in the store two or three people who will serve the sales floor. If you are not planning to work in the store yourself, you will need a hired Manager. Bookkeeping can be charged to the incoming specialist, or to do accounting of the funds themselves. To your store was presented to a truly impressive range of drink, equip in the same building, a small warehouse, equipped with powerful refrigeration equipment. Pay attention to working with the staff, who not only serve and wisely advise visitors, but also to monitor the cleanliness – it is advisable to develop a special system of motivation and to put the wage dependent on the proceeds. In recent years, most people have realized that beer is much more pleasant to drink still in the pub than in the courts. Beer, respectively, becomes more and more. To open a pub, which would be a success, you need to consider the concept - something that she was different from others. Before you open a beer, walk to the institutions of future competitors and to analyze what you like and what not. This way you will be able to take all the best and not to make their mistakes. It is also important to remember that beer consumption has long gone beyond the get-togethers with friends anywhere in the yard or at the cottage. Beer is drunk all - the poor and quite wealthy people. Before you open a beer, decide to whom you open it. Then it would be easier to define and the future of beer: can open and inexpensive place in the metro, and you can elite a pub somewhere in a prestigious residential area. Also from the contingent depends on the range for use as a pub is no place for cheap bottled beer that you can buy in any tent. The mechanism of opening a beer is a little different from the mechanism of opening a cafe: you are registering as an individual entrepreneur or open a company, find and rent a room, get all the permits, make necessary repairs to the premises, negotiate with suppliers, actually, beer and other products and equipment, we are looking for staff. It's a good idea to include beer in its own brewery - brewed beer is popular. Beer in Moscow, a lot, so don't forget about advertising. To attract customers in a beer can bright sign writing on the pavement (by the way, are extremely cheap and popular form of advertising). You can distribute flyers to advertise beer on the Internet. However, the best and most effective way of attracting customers is certainly word of mouth: if your beer will appeal to the first customers, they will surely bring to you their friends. If you doubt that you can come up with the concept of a beer that would be popular, you can buy a franchise of an existing beer. As a rule, in this case, you will discover already familiar to consumers, the institution, and the cost of advertising and attraction of clients will be minimal. Own beer business remains not exclusive to large investors. To start it even with small investments, expanding as you grow. 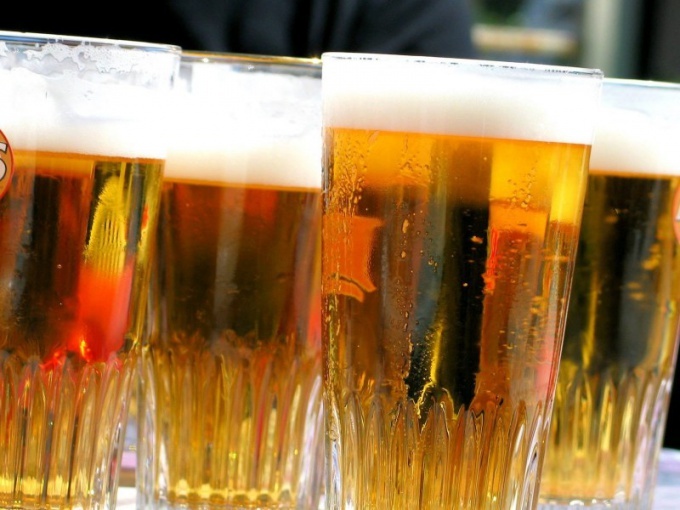 If beer is your passion, why not turn it into a profitable business? - ingredients for beer production. Select your area of business. Variants here are many. The most famous are the brewery and mini-brewery, shop draught or fresh beer, bar or pub, etc., Select the best business for your area. If it is already saturated competitive beer stores, why not organize your own brewery to offer customers something new? Decide what kind of beer you produce. Some recipes, such as barley beer, English beer, Bavarian dark beer, and many others. They are all available for study online. Consider which species will use the greatest demand in your city or region, what is lacking in the current market. Select the facility to conduct business and conclude an agreement on long-term lease with the owner. If your goal is to open luxury shop for the sale of beer, place it in the Central part of the city, on a busy street, near other prestigious retailers. Get necessary approvals from sanitary and epidemiological stations, housing Department, power company and fire control. Pass the licensing. Imagine licensing authority in your place of residence, the documents, including the registration data for the individual entrepreneur, the codes of Rosstat, the list and the amount of sold goods, medical book and receipt of payment of the registration fee. 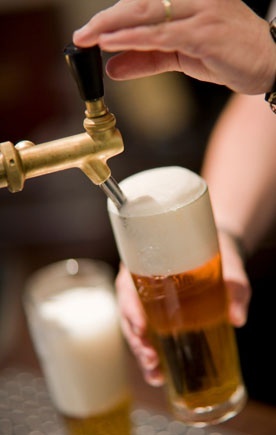 Beer refers to excisable goods, therefore, is subject to tax amounting to 15% of income. Get a health certificate for the products. Is responsible for the local sanitary-epidemiological supervision. The certificate is issued only on the basis of the examination, which shall prescribe the requirements for production and its use. Select the method of packaging beer. Effective and inexpensive is considered to be sterilized in glass and plastic bottles or aluminum cans. For this you will need equipment such as a machine for bottling beer, an apparatus for sealing lids and labelling. You can also release the beverage in a convenient sealed barrels called kegs. They are made of wood or food-grade plastic and have leak-proof lid with valve and tap. This is a more expensive method of packaging, but also profit from the sale of such goods is much higher. Purchase from wholesale suppliers for necessary equipment. 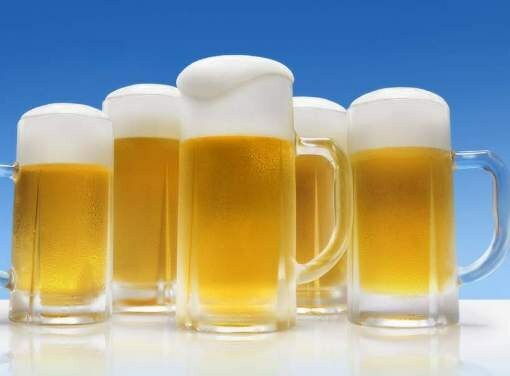 If you are planning to brew beer, you will need the technological capacity and the capacity for primary fermentation, laboratory equipment and the transfusion systems. This is enough to run a small brewery. Purchase raw materials for beer production. This includes: malt, hops, purified water and yeast. Think of the name of the beer and the label design that are a distinctive feature of this drink and help people to learn it from other similar products. The title should reflect the characteristics of your beer (light or dark, filtered or unfiltered) and be as close as possible to the target audience (e.g., "Folk", "Russian", "old Church Slavonic", etc.). You can apply your own imagination or refer to specialists in the field of branding. Begin to implement beer. Your target audience will be small cafes and bars as well as shops and supermarkets. In the case of the opening of the beer store to sell the goods need to be directly to visitors. Effective advertising course will be to organize free tasting of a drink or even a small beer festival. Currently, people who are beer connoisseurs prefer to buy beer by the glass. This business is very profitable, but with its creation, the owner may face various problems. Before to arrange the sale of beer by the glass, we first estimate their strength, after all, to engage in sale of alcoholic beverages is not easy. You will need not only register with the tax Inspectorate, but the license for the right to carry out this activity. Register the company at tax inspection. If you plan on working with legal entities, will issue the PI. Select the tax system. In your case it is better to opt for the simplified system, as you free yourself from paying several taxes (income tax, VAT, etc.) and will work on a more loyal to the system of Deposit accounts. Get a license for the retail sale of alcoholic beverages. Purchase a cash register and register it in tax inspection. To open a shop of draft beer, find a room. When choosing a shopping area keep in mind all the requirements of the fire inspection and sanitary and epidemiological stations, for example, your store should be an emergency exit. Get permission from the above-mentioned inspections. Think about the location of the outlet, it is better to focus on those areas that are near the sleeping area. Purchase equipment for the shop. If you have some financial difficulties, unable to find a supplier that will supply you with all the devices and devices for doing this type of business. If you want to buy it yourself, you'll need about 200-300 thousand rubles (this includes the cost of beer taps, counters, fridge). Find the suppliers. Necessarily agree with them all the time of delivery, the possibility of a return of products, method of delivery, etc. Make a list of all the Beers that you want to implement. Note that the prices should be different, i.e. for different categories of customers. Start advertising, because your potential customers will know about you! You need to contact your advertising Agency, because there are professionals. Remember that when engaged in such activity you will encounter a number of problems. As the drink is "alive", it has a low shelf life. So some beer will have to just pour. In any case, do not try to implement the sour drink, otherwise you will spoil your reputation.